In an age where busyness is a badge of honor, and stress an everyday encounter, CBD +ASHWAGANDHA can provide you the daily performance and wellness advantage you’ve been looking for. * Use this product daily for optimal results. 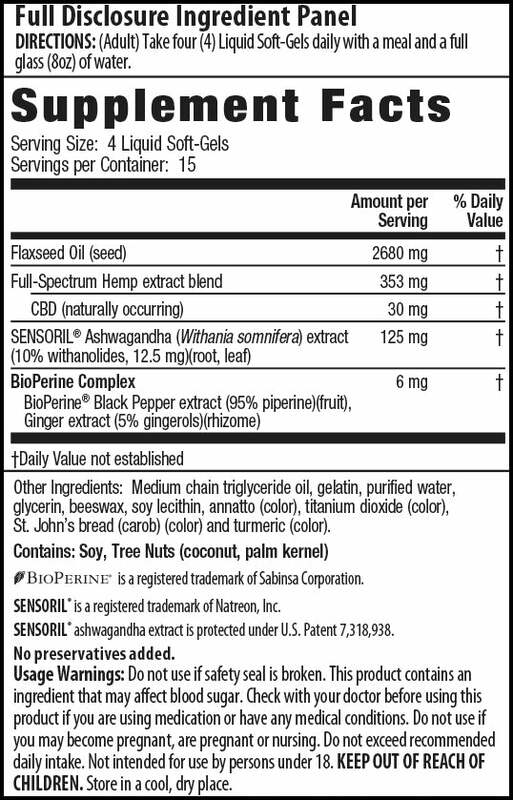 Each serving contains 30 mg CBD and 450 mg per bottle.